Last month, HBO released the first True Detective Season 2 trailer, while announcing that the hit series will return Sunday, June 21. Today the network has released yet another True Detective trailer, which takes us inside the minds of the four main characters, Ray Velcoro (Colin Farrell), Frank Semyon (Vince Vaughn), Paul Woodrugh (Taylor Kitsch) and Ani Bezzerides (Rachel McAdams). As you can tell from this trailer, each of these characters have a number of issues they're all dealing with, on top of their professional lives. A bizarre murder brings together three law-enforcement officers and a career criminal, each of whom must navigate a web of conspiracy and betrayal in the scorched landscapes of California. 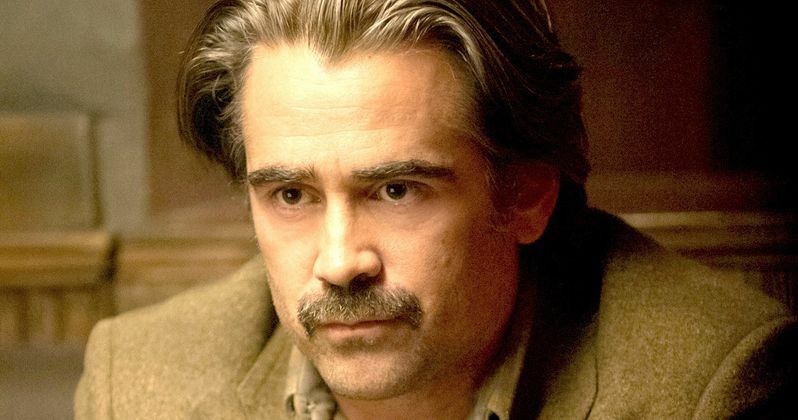 Colin Farrell is Ray Velcoro, a compromised detective in the all-industrial City of Vinci, LA County. Vince Vaughn plays Frank Semyon, a criminal and entrepreneur in danger of losing his life's work, while his wife and closest ally (Kelly Reilly), struggles with his choices and her own. Rachel McAdams is Ani Bezzerides, a Ventura County Sheriff's detective often at odds with the system she serves, while Taylor Kitsch plays Paul Woodrugh, a war veteran and motorcycle cop for the California Highway Patrol who discovers a crime scene which triggers an investigation involving three law enforcement groups, multiple criminal collusions, and billions of dollars. Like he did in the first season, series creator Nic Pizzolatto returns to write all of the Season 2 episodes, with Justin Lin serving as director for the first two episodes. The supporting cast is rounded out by James Frain, Michael Irby, Abigail Spencer and Leven Rambin, C.S. Lee and Rick Springfield. Check out the latest trailer below, and stay tuned for more footage from Season 2 of True Detective, debuting on June 21.